Yamaha has sent out an invitation for a press conference to "unfold a brand new chapter in its journey in India". We expect Yamaha to launch the new Yamaha Fazer 250, a full-faired motorcycle, based on the Yamaha FZ25. Price of the Fazer 250 is expected to be under Rs. 1.3 lakh (ex-showroom Delhi). Yamaha will launch a new two-wheeler on August 21, 2017 and we have reason to believe that this is none else than the upcoming Yamaha Fazer 250. The Fazer 250 is based on the naked street Yamaha FZ25 and is a full-faired version of Yamaha's quarter-litre motorcycle. The Fazer 250 shares quite a few components with the FZ25 as well, including the instrument panel, exhaust, taillight and LED headlamp. Cycle parts, including the wheels, suspension, chassis and brakes are also shared with the FZ25. The Fazer 250 will be powered by the same engine - the 249 cc, fuel-injected unit of the FZ25 which makes 20 bhp at 8,000 rpm and 20 Nm at 6,000 rpm. The Yamaha FZ25 is not quite blistering fast, but makes up with a smooth, refined engine with adequate grunt useful for the daily city commute. It's got a comfortable ride quality, great road manners and decent top-end speed for the occasional highway ride as well. 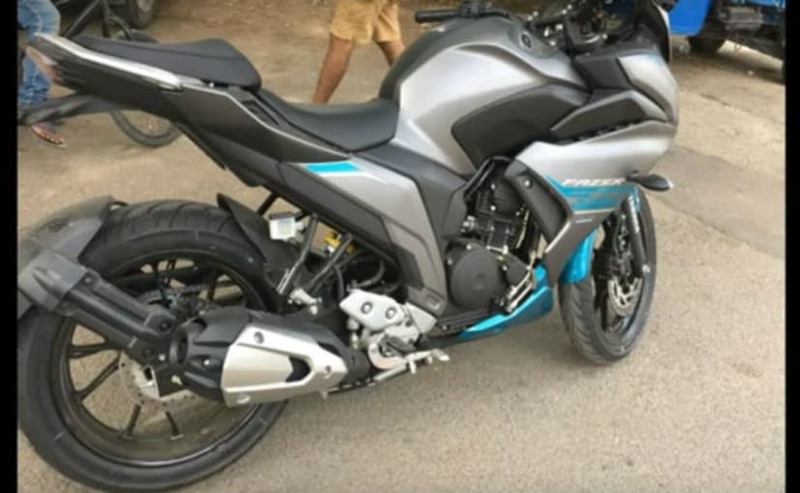 The Yamaha Fazer 250 is expected to have those same qualities as the FZ25, but the addition of the fairing and windscreen up front is expected to add to the FZ25's 148 kg kerb weight. 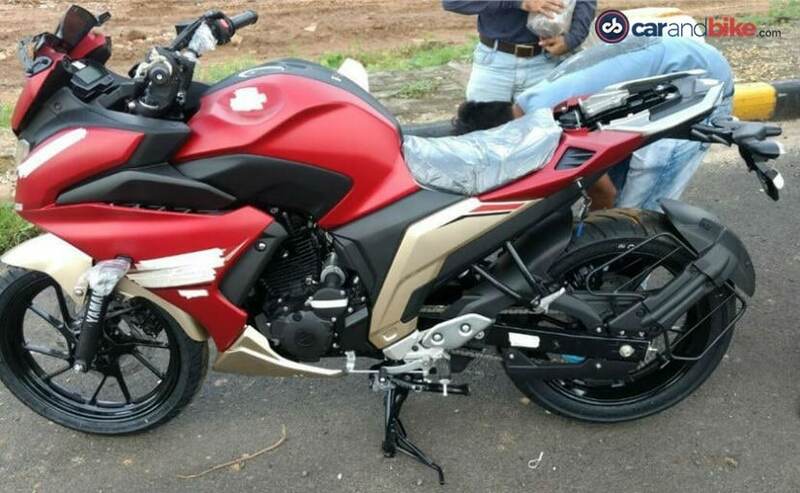 The production-ready Yamaha Fazer 250 has been spotted several times over the past few weeks, so Yamaha has probably already started despatching the bike in limited numbers to dealerships across the country. The FZ25 is priced at ₹ 1.19 lakh (ex-showroom Delhi), and we expect the Fazer 250 to be priced at a slight premium, but under ₹ 1.3 lakh (ex-showroom Delhi).